In a not-too-distant future, people can buy personal cleaners - Intronauts; miniaturized human workers injected into their bodies in order to carry out essential maintenance. But what happens if your cleaner discovers your dirty laundry? And how much do you actually want to know about what goes on inside? 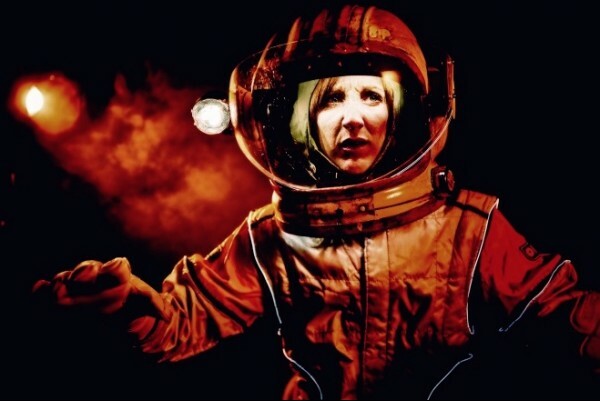 The spanking new show from Bristol-based visual theatre-makers Green Ginger will propel you into a microscopic journey deep within the human body. It tells a madcap story about advancing technology, big syringes and a tiny submarine. Taking its cue from classic sci-fi movies, and fueled by absurd visual comedy and innovative puppetry, Intronauts offers an intoxicating inner body experience that is out of this world.